Sometimes it pays to bring an ancestor’s most primitive knowledge to even the most complicated of tasks. Chemical engineer and University of South Florida researcher Norma Alcantar’s grandmother used prickly pear cactus to remove sediment from river water she’d collected for drinking when growing up in early-1900s rural Mexico. Now a team of chemical engineers led by Alcantar is testing this intelligent abuela’s tactic on cleansing everything from oily seawater to recirculated water systems that are home to farmed fish. Typically, when you want to remove something from water you need a dispersant, a chemical mixture that can break down the unwanted substances so they can be more readily washed away. Consider, for example, the detergent you use to clean grease from your dishes. Or, in the case of an oil spill, when chemical dispersants are applied to a layer of oil on the water to break the slick into small oil droplets that can be cleaned up. Alcantar’s team has found that sugars within mucilage—the gooey part of the cactus responsible for keeping the plant hydrated—are just as good as chemical dispersants. And they are more environmentally friendly. Inside the mucilage are carbohydrates and some 60 polysaccharides, or sugars, that have specific effects on different contaminants. When Alcantar’s grandmother mixed the water left over from bringing nopal (or prickly pear) cactus to a boil on the stove with contaminated river water, the sediment would separate and rise to the top of the dirty water. 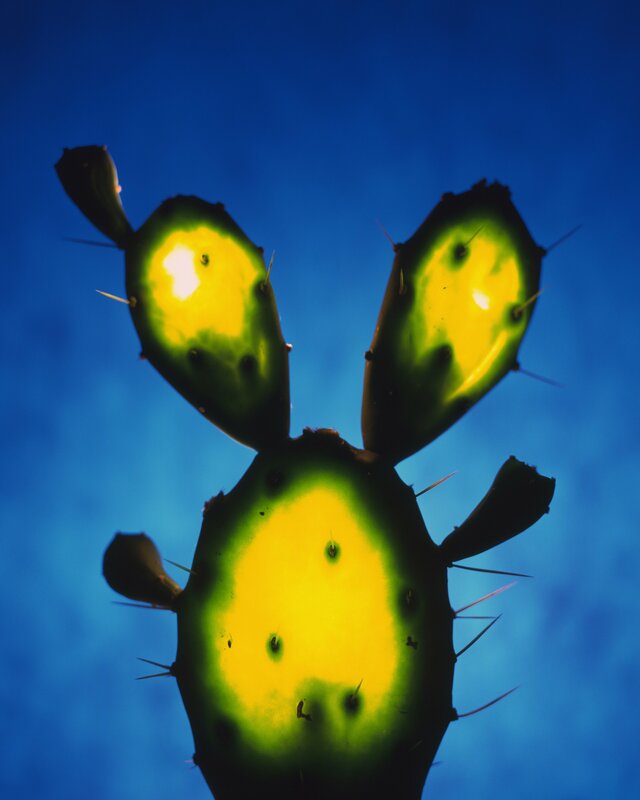 In the lab, Alcantar’s team observed that mucilage from the insides of the cactus captures not only sediment but also arsenic and bacteria in contaminated water. The researchers first tried using cactus to clean contaminated drinking water following the 2010 Haiti earthquake and found it worked well. Four years later came the Deepwater Horizon oil rig disaster and BP’s decision to throw 1.84 million gallons of the commercial dispersant Corexit at the spill. That prompted Alcantar to explore if nontoxic cactus mucilage would disperse oil as well as the chemical stuff that many environmental scientists believe has caused long-term damage to Gulf of Mexico sea life. It was a success: When Alcantar’s team applied mucilage to a simulated oil slick, it was as effective as a chemical dispersant. The Mote Marine Laboratory and Aquarium in Sarasota, Florida, learned about Alcantar’s studies on mucilage and approached the scientist, hoping she’d partner with them to improve efficiency in fish farming. In a fishing farm, every time water is recirculated, bacteria grow and create smelly compounds t hat are absorbed by fish skin, tissue and eggs. Current practice is to purge the fish at harvest with fresh water treated with ozone, which takes months, uses large amounts of water and stresses the fish, Alcantar says. Her research has already shown that adding cactus mucilage in beads or as a powder to recirculating aquarium water in the lab reduces odor and bad taste. The next step is to test the beads and powders inside Mote’s sturgeon tanks. If successful, Alcantar says, it could cut purging time from three months down to a week, saving huge amounts of water in the process. Correction: A previous version of this article incorrectly referred to a 2006 earthquake in Haiti. The earthquake referenced actually occured in 2010.